There is a similarity of theme and a similarity of story. There’s a lot of Easter eggs for people who know the original--iconic shots and iconic lines that we’re going to use. But we’ve enhanced the setting, and we’ve expanded the characters somewhat, to give it a different kind of experience. I am a big proponent of practical effects. That was the great thing about the original. A lot of the films I still respond to most today, it’s because of the practical effects. We think that it’s going to be a nice slow reveal, lots of scares and lots of action in the beginning, and a great creature in the end, which everybody should be able to look at and say, ‘Oh, that’s Pumpkinhead!’ It’s not like you’re all of a sudden going to find that it’s some amorphous, nebulous, CGI wispy thing. 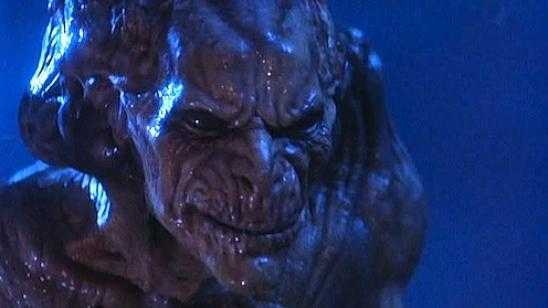 You’re going to know it came from the Pumpkinhead family lineage.